Go behind the scenes of the award-winning Grenada Chocolate Company and discover what makes it so extraordinary. 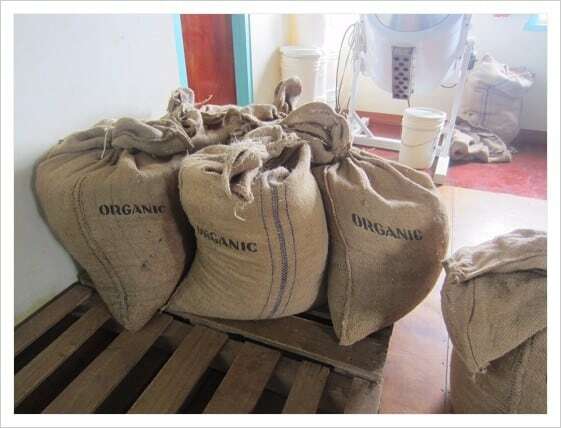 Join us on the Grenada Chocolate Company tour of farm and factory. Visit the beautiful cocoa farm, watch the fascinating chocolate production process and taste the rich delicious samples. There’s no doubt, Grenada is an exciting island to visit with so many amazing things to see on the tropical ‘Spice Isle’. Here’s something you won’t want to miss: a three-part tour of the ground-breaking Grenada Chocolate Company. Live your childhood dreams and join us on a behind-the-scenes ‘tree-to-bar’ tour of the Grococo farm, the chocolate factory, and the bonbon shop. 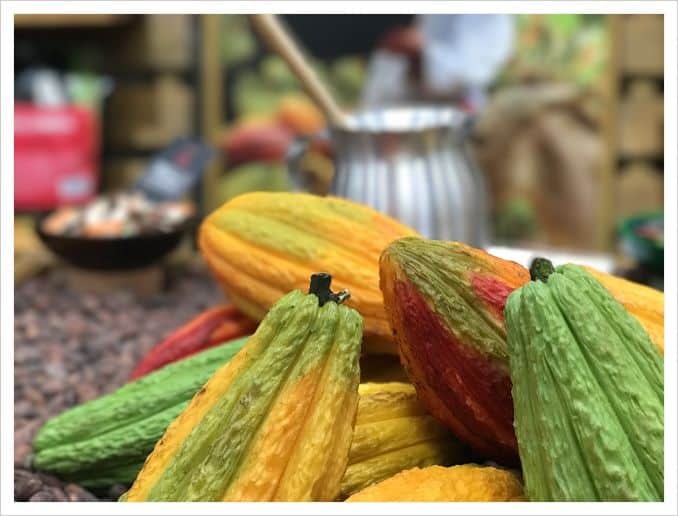 You will see the organic cocoa growing and then we’ll take you to watch the fascinating chocolate production process, ending with tutored tastings of some rich delicious organic bars and chocolate bonbons. In the process, you’ll discover what makes it so extraordinary and how it has led the revolution in chocolate since 2001. What’s the story behind the Grenada Chocolate Factory? When Mott Green came from New York to Grenada in the mid-1990s it wasn’t long before he moved into a bamboo hut near a cocoa farm on the north of the island, installing solar power so he could listen to jazz or take a warm shower having channelled water from a nearby stream. Using his ingenuity and love of the environment, for a while he lived his dream. He could see cocoa all around him but quickly realised that only small amounts were being harvested for local production and consumption (as cocoa tea) and that the cocoa fruit that was being picked was all exported to Europe and the USA as dry beans. He wondered whether, unlike the traditional model where all cocoa is fermented and dried in the tropics before shipping overseas to developed countries, a local factory could be set up on the island which would regenerate the local cocoa industry and also provide much-needed employment to the friendly villagers who had welcomed him into their community. This would reverse the normal trade pattern and add full value to the cocoa where it was being grown. A model way superior to Fair Trade. 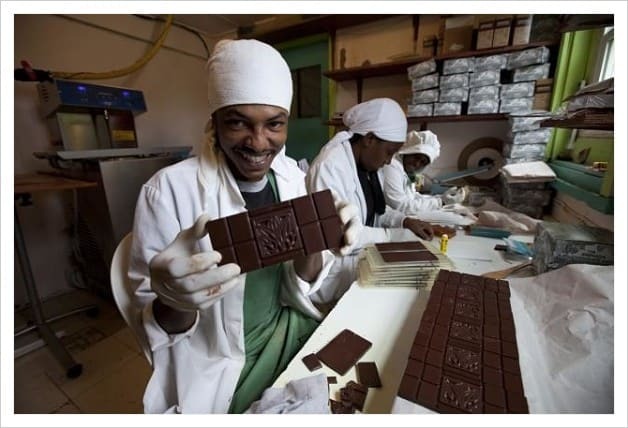 Gradually over several years, with local partner Edmond Brown and old friend Doug Browne, a plan was developed, machinery tested and in 2001 the first batch of hand-wrapped bars of fine organic dark chocolate was produced. Currently, the bars are exported to the USA, UK and Europe, as well as being available on the island. 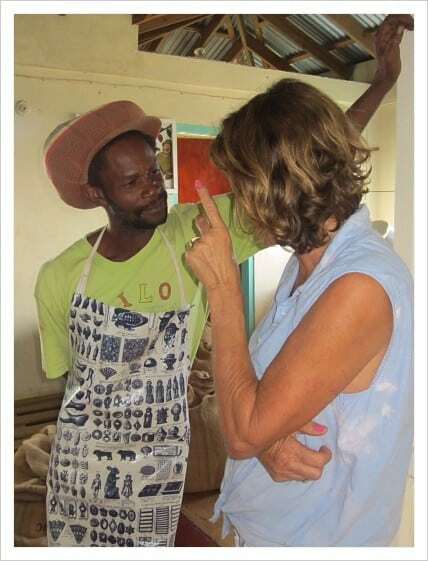 Edmond Brown, a founder of the Grenada Chocolate Factory speaking with Annie Farey of Petite Anse Hotel. Mott has been influential beyond the island. He has shown that it is possible to make fine, award-winning chocolate on a small scale in the tropics. His electrical engineer training in Philadelphia and his activism in New York led him to build the factory using machinery which could largely work off solar power, and you can see the 30 or so solar panels around the factory and on the roof. Further, the factory was organised along cooperative lines so that farmers and workers were equally paid at twice the rate to comparable workers on the island. All chocolate produced is organic and one of his dreams was that the cocoa on the whole island would eventually become organic. Mott also looked for carbon neutral methods of shipping and distribution and indeed much of the chocolate has been brought to Europe on the motor-less sailing brigantine the Tres Hombres, and cycled around Holland when it landed there! Incredibly there are now 4 chocolate factories on the island and every year a Chocolate Festival is held in May to celebrate everything about chocolate and this attracts aficionados from all over the world. The Spice Isle is rapidly becoming the Chocolate Island! Travel 20 minutes to the cocoa farm from Petite Anse. Meet farm manager William and his team. 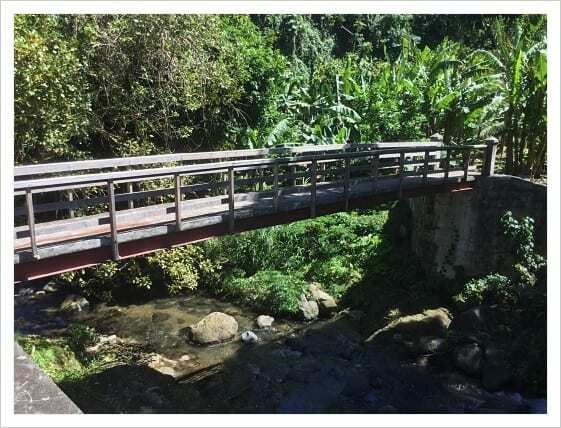 You’ll walk over the recently built Mott Green Memorial Bridge to see the cocoa growing alongside banana and other shade trees. Discover how the farmers grow cocoa. 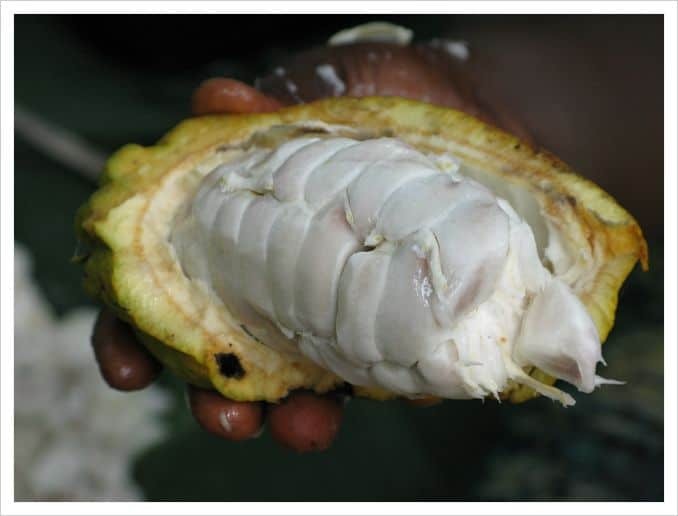 Break open a cocoa pod and taste the fruit. A subtle blend of lychee-like sweet and sour, yogurt-y deliciousness! 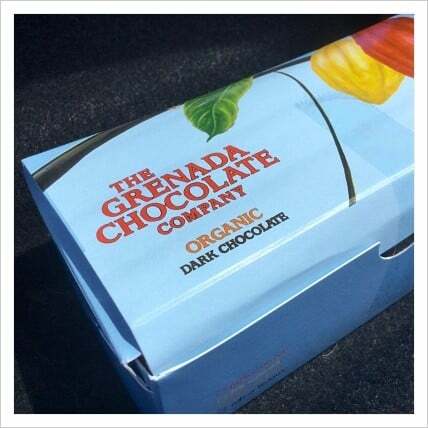 Go behind the scenes at the Grenada Chocolate Company factory. 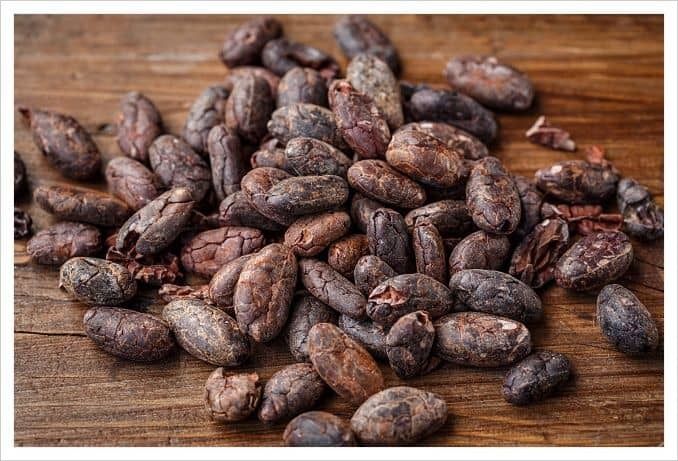 Watch how the cocoa beans are turned into the most mouth-watering chocolate. You’ll wish you’d brought a big spoon with you! 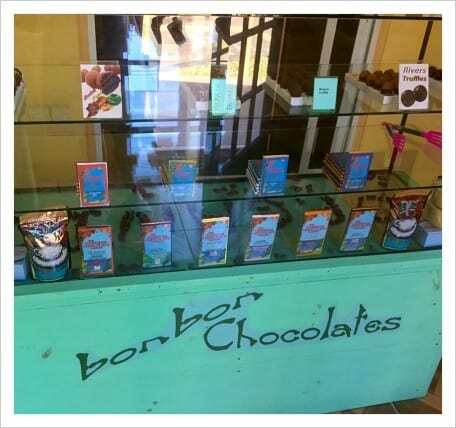 The Grenada Chocolate Company Bonbon shop. 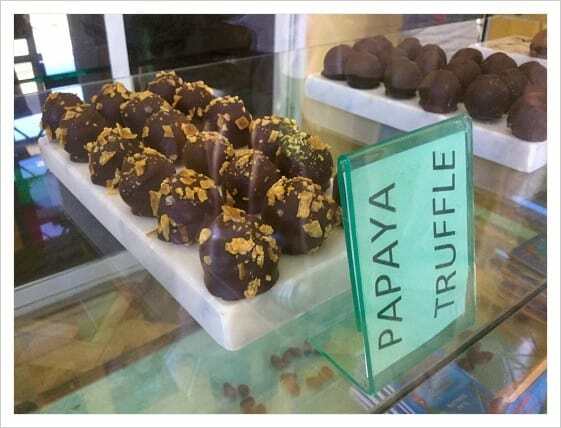 Walk next door to sample the chocolate and if you wish, purchase the fruit and rum infused bonbons and the different styles of chocolate bars. There’s no tastier a souvenir than this, we promise! The tour takes around 2 hours. We can arrange to take you there or if you have a hire car, you could drive yourself. You can find our other tours here. We strongly recommend that you do not miss this chance to see fine organic artisan chocolate being made, right where it is being grown! “I had never tasted a cocoa fruit before, and was surprised at how good it tastes when you pick a pod straight from the tree.” Nicola, England. 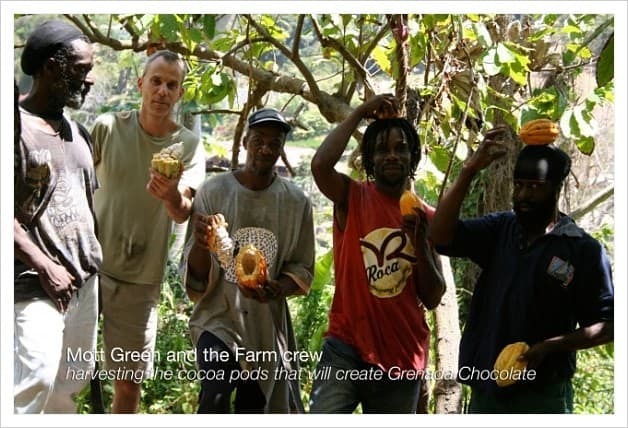 Some images have been reproduced from the Grenada Chocolate Company website.